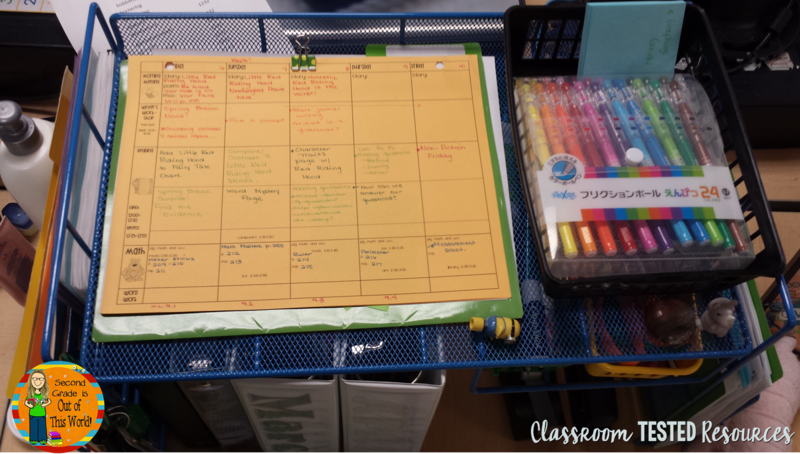 One page lesson plans?...and a freebie! Hello all! This is Hilary from Second Grade is Out of This World! 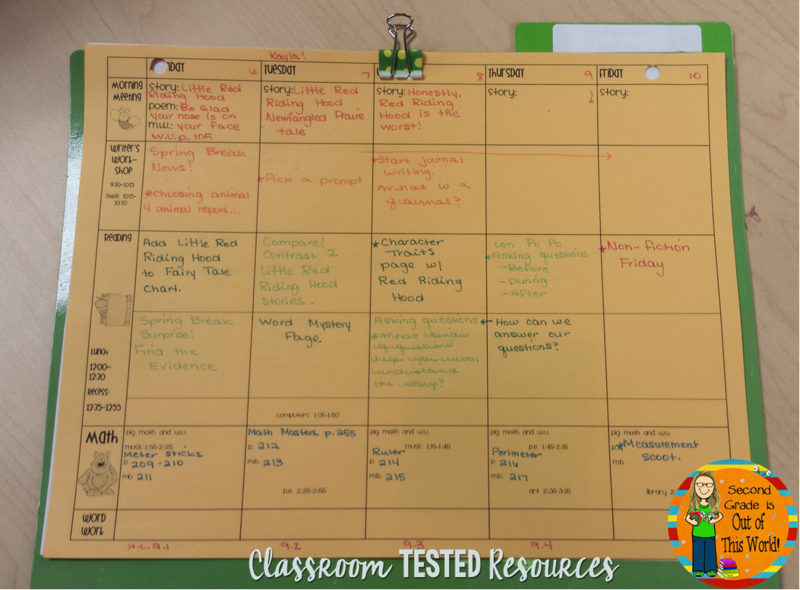 I am so excited to be blogging here at Classroom Tested Resources today! 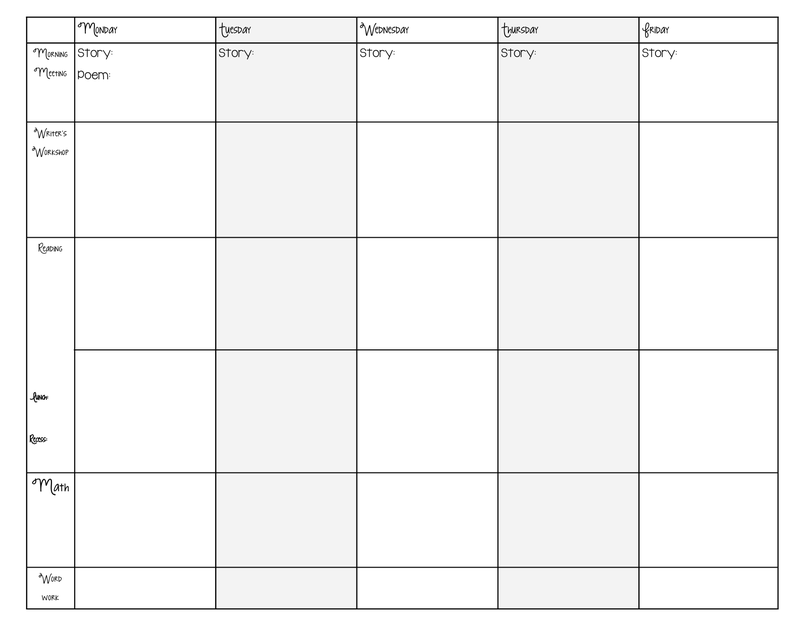 Today I wanted to share with you my lesson planning page. Now, I am extremely lucky to be in a school where the only person who sees my lesson plans is me! That being said, my lesson plans are one page long. Now, that is not to say that my small reading, writing, and math groups are all on that page, just my basic whole class plans. Here is a picture of my lesson plans in their native habitat! Yes...they are on a pedestal. They have to be or they would get buried under the piles that mysteriously appear on my desk everyday! 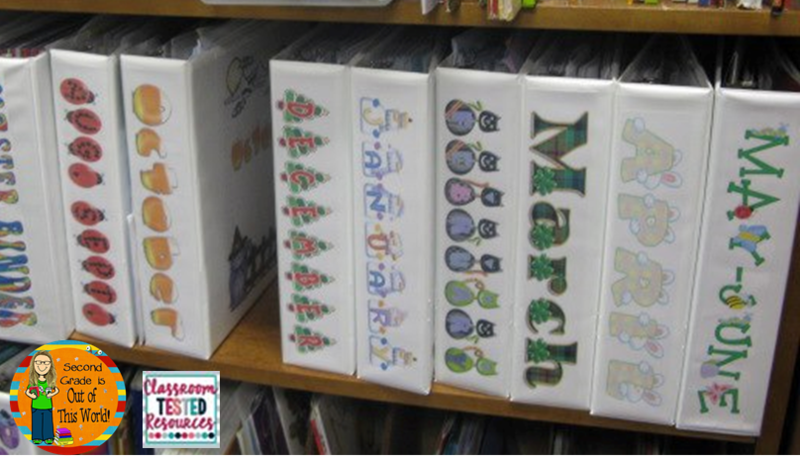 This allows me to also keep my monthly planning binders underneath! I usually have the current month and the past month there to put things away when I am done. I like having them right there. It make it easy if I need to reference something. It also makes it easy to put away my originals when I am done. Here all of my binders are...aren't they pretty? Thanks so much for stopping by and reading my little post today! I love that you're "old school"! I am too! I love to write with pens on paper! I've tried it on the computer, but I like it right there in front of me! Thanks for the freebie! You are welcome! Thank you so much for stopping by! I agree, there is something about pen and paper that I love! Thanks for sharing! Mine are similar, but unfortunately they are view by others. So, I'm required to put a little more detail in mine. The end up being two pages. Two pages isn't bad! Thanks so much for stopping by and commenting! My lesson plans are 26 pages long every two weeks (District mandated template.)!! I would like to try yours though & look at the template if I need clarity. Thanks!! WOW! I can't imagine 26 pages! When do you have the time for that? Goodness! Bless you! Mine are about 2 pages with lots of mandates. Our math lesson plans are up to 9 components. Planbook.com has been a lifesaver. I have heard great things about Planbook.com, but I haven't tried it. I am still "old school" with my plans. There is just something about writing it out. Thanks so much for stopping by! I'm a paper and pencil gal too!!! Still keep my grades in a grade book before putting them in our grade book online (I've had grades lost too many times online not to keep a back up)! 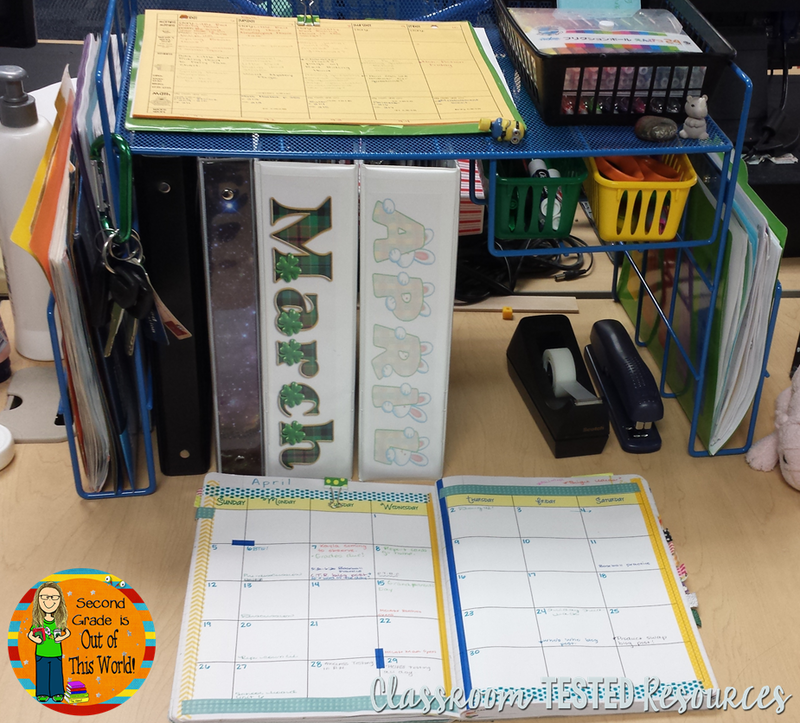 I love the organizer "tower" that you are using. Where did you get it? I got it at Really Good Stuff! I LOVE IT! I was using a phone stand before and this is so much better! I don't keep my grades in a grade book though. Before I taught 2nd grade I didn't have to keep a grade book, so I learned to keep grades using my online book! Thanks so much for stopping by and commenting on my little post!